I believe in exposing children to classical and beautiful art from a very young age. 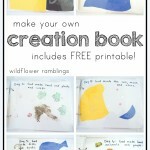 I believe children should be given natural and unique opportunities to create and express. I believe children should have an opportunity to emulate their favorite artists, both assisted and unassisted. I believe creating does not always mean having an end-product, sometimes it’s just the process. 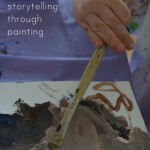 I believe that some children thrive on creating art with a teacher holding their hand and guiding them. I believe crafts can produce joy and excitement in some children, but not others. There is no right or wrong way to “do art” for children. Every child is different, and parents and teachers have to look at the needs of their little ones and see what they will thrive on. Guidance? Free art play? Various tools? 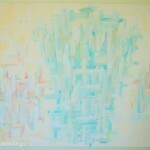 Invitations to paint? 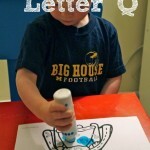 Lessons for coloring, modeling, pasting, or painting? Step by step instructions? Or simply nothing at all? 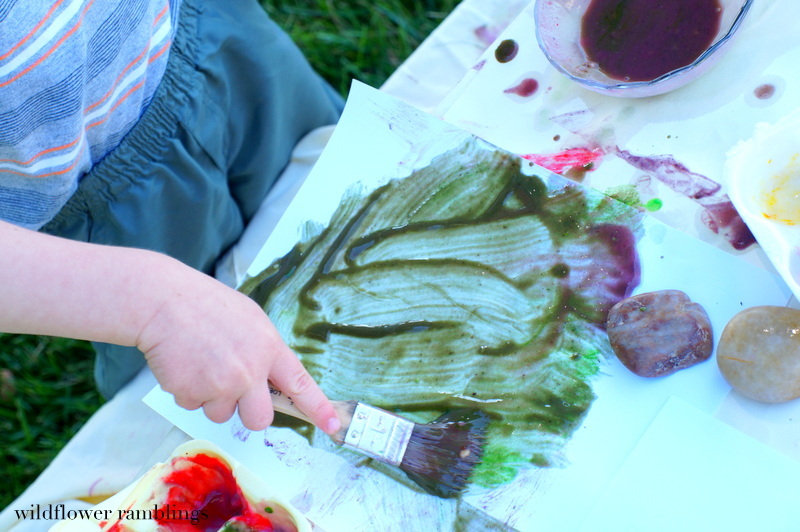 I recently read Painting with Toddlers: It’s only mess in our eyes and Rethinking Art for Children, both from An Everyday Story, about Reggio-inspired learning and art. 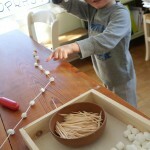 I am so inspired and intrigued by this Italian style of early childhood learning. The child is given a beautiful environment and loving support in which to create and learn. Sounds awe-inspiring, a place I’d like to be in, and a place I’d love to create in my own home. 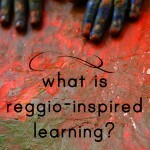 I am slowly beginning to define what Reggio Emilia-inspired learning means for our family. How does my son feel about art? Connecting with my son and how he learns has always been a challenge for me. One that I’m proud of and one that I’m striving to get better with, but a challenge nonetheless. I have set up holiday-themed invitations to paint for John (almost 4 years old). These free painting sessions were appreciated by him as soon as he reluctantly sat down, but he would spend anywhere from 1 to maybe 10 minutes with the activity. And then he’d be done. He would appreciate what he made, but I was too hung up on the fact that this time usually ended with him painting both of his arms and hands and how he mixed all of the colors to just make a paper full of brown mess — that is what it looked like — to me. I have set up messy outdoor painting. Squirting, paint bombs, foot painting, you name it. He’ll do it for a minute and go back to “boating” or “mowing” or whatever other machinery is the excitement of the day for outdoors. He doesn’t enjoy “producing” art. The canvas painted-art that I have on our wall was really just a bribe from me for him to get something down so I could hang and admire it. But, really, I don’t feel that it’s a good expression of who my son is. I kept trying. But I felt defeated. He was likely discouraged that he didn’t like the activity and his little sister did — jealousy. Do I continue to set these opportunities up? I wanted to, but didn’t know how or where to start. 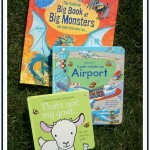 Reading the posts above, and all of An Everyday Story’s early learning posts, have been so inspiring. And this week, we tried something new. 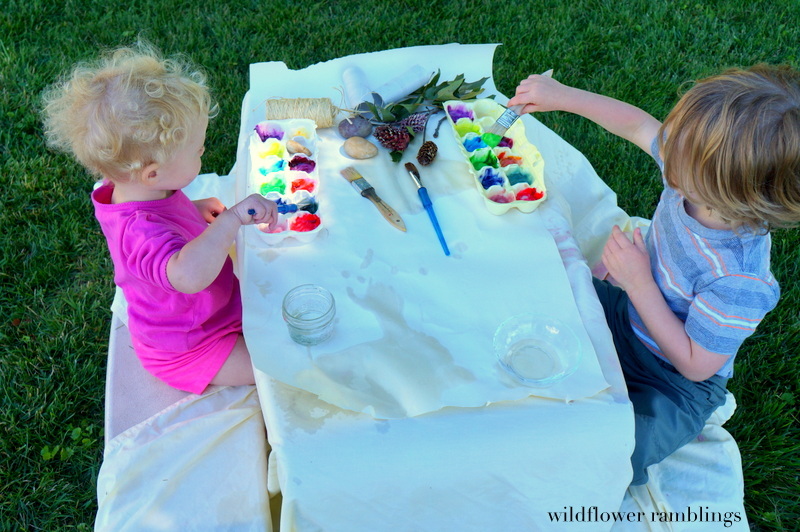 I set up our outdoor children’s picnic table with a big sheet, homemade edible paint, and lots of natural objects and inspiration. Water dishes, pinecones, sticks, rocks, brushes, paper. My children were so excited to run over. And they painted for almost an hour. John thrived mixing the different paints into the water. Before, I’m ashamed to admit, I would have discouraged him “dirtying” up the water — all he does is mix all of the colors and make brown every time! But now, I appreciated him. I saw his eyes light up as he created black and brown. He made shades of green and red on his paper and in the water. He didn’t produce a painting, but he enjoyed the process — his mind was racing with ideas and wonder. This. This is what we’ve been missing. Beautiful presentation for a beautiful activity. And he loved it. He had a passion for what he could create. It wasn’t what mommy wanted. But it was perfect. No pressure, just thinking and creating on his own. Logistics : where can the children go to do process art? Right now, for us, the outdoors is glorious, so for these summer months, we will be outside as much as possible. At their little table, on the ground, on the sidewalk, at their easels. I want to make it available. I have to figure out the right logistics with this because there isn’t a perfect place to leave materials, so they’ll have to come in and out because of all the rain we’ve been having. But they can paint and be creative indoors too! 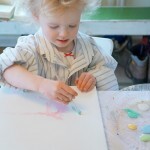 We have a wood table from which watercolors or tempera paint can come off easily. I can always put a mat down in the kitchen, or even bring the art-building to the basement. I want to invest in their little creative minds. Allow them to express themselves without limits. They can put on play-paint clothes and wash hands and change clothes will be their responsibility when they are done. They are able. I must remember to not just focus on my son’s needs during this important time of early development. He has shown me that he has an interest in expressive art this week, and that is wonderful and I couldn’t be more excited. 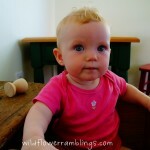 But May (now 22 months) has always shown interest. And too often, I haven’t set out these opportunities for her because my son wasn’t going to get involved, so it wasn’t worth my time (or the mess). No, no, no. If her eyes brighten up and she makes beautiful brush strokes and marker lines, then why would I keep her from doing what she loves. She immediately put the rocks and pinecones in her paint. 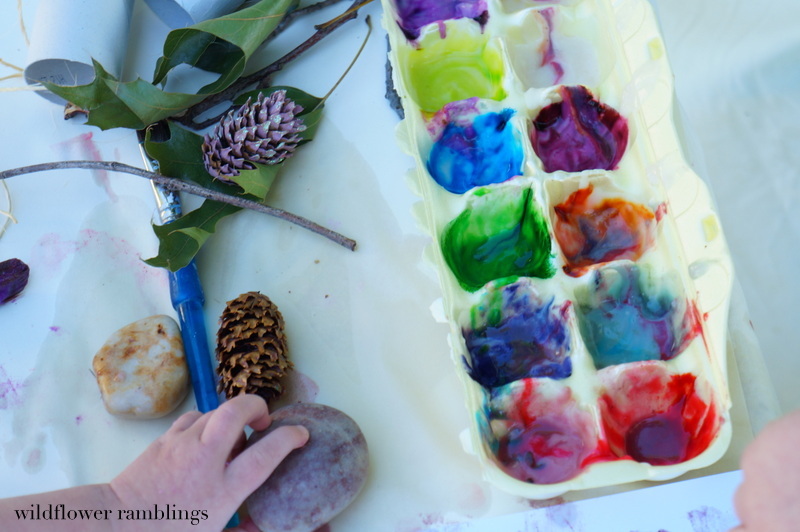 She daintily padded them around her egg carton of paints and her paper and then dipped them into her water. I don’t have any pictures of this or her end result because I was just in awe and full of joy as I watched her happiness. 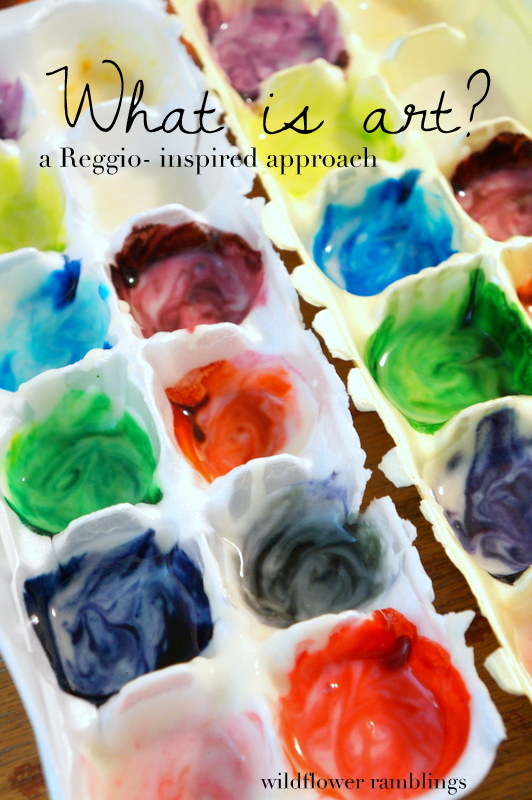 And, here, I created a Reggio-inspired learning Pinterest board, to inspire in me more ideas on how to implement Reggio Emilia ideals into my home and homeschooling. Thanks for the inspiring post! As much as I want my 3-yr-old daughter to “do art” she reacts the same as your son: 5 min burst of painting/clay/drawing and then done and a huge mess left for me. I am inspired to do outdoor paiting on the picnic table tomorrow. Thank you for sharing your ideas! Yes! And without restriction, I am so glad I’m learning this now, rather than before it would be too late!! This is my 4 yo boy too. I spent literally hundreds of dollars on paints and painting gear to try and inspire him to love art and painting but the best I’d get is 5-10 minutes and ‘brown’ mess everywhere. Art exhausted me: the setting up and cleaning up as well as hovering to try and stop things like him mixing colours with a dirty brush or roller, or, trying to show him how to do things ‘the right way’. I’ve slowly learned to see it as a process for him rather than a result. I can now finally sit back, watch and see the magic of ‘art’. Lots of ideas here. Thanks for sharing.